Pike Central’s Gavin Crum and Jared Stanley led the Hawks to a 7-0 win over Letcher County Friday night. 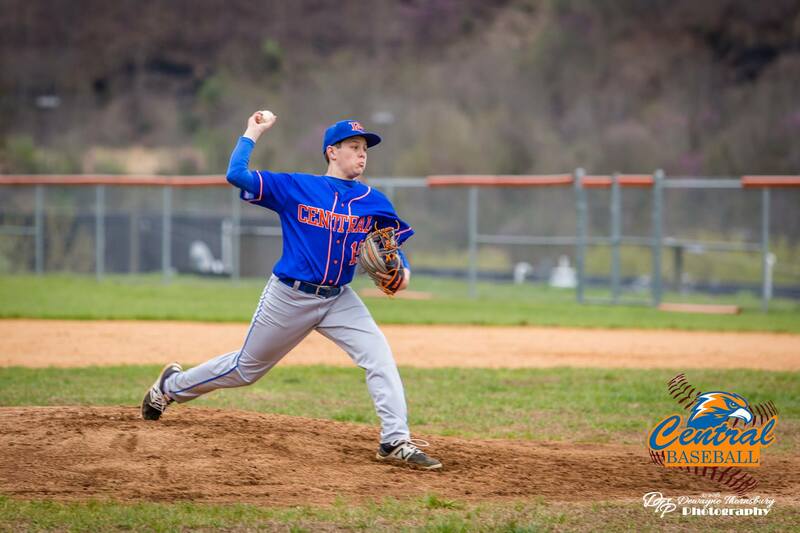 Crum threw five scoreless innings allowing only one hit while striking out eight Letcher County batters. Pike Central racked up a season-high 9 hits, led by Jared Stanley with three hits. Stanley went 3-3 at the plate with one RBI. Gavin Crum finished the game 2-3 with one RBI. Cole Bowersock, Hunter Adkins, and Ben Huffman each had an RBI for the Hawks. For the first time, this season Pike Central’s defense didn’t commit an error. Pike Central’s JV beat Letcher Central 11-3. Cole Bowersock picked up the win for the Hawks. Bowersock pitched three innings with four strikeouts. Central was led at the plate by Brock Damron. Damron finished the game 3-4 with three RBI’s. Blake Adams added two hits and two RBI’s for Pike Central. Izaac Blankenship was 2-3 at the plate scoring two runs. Pike Central will be back in action Monday, April 9 when they host the Shelby Valley Wildcats at Pike Central Field. First pitch is set for 5:30 p.m.